Part hardboiled detective, part vampire hunter, Kate Kane is a snarky heroine not to be missed. 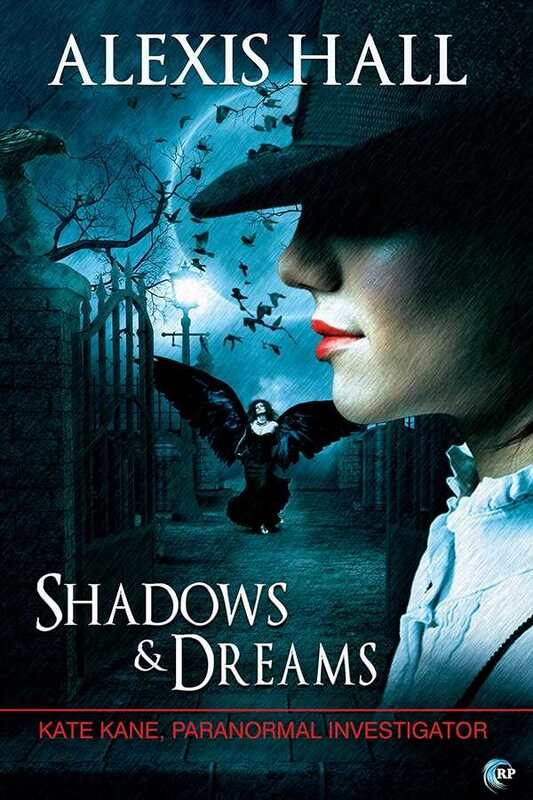 Alexis Hall has created a vibrantly dark world in book two of the Kate Kane series, Shadows and Dreams. Kate returns with her sassy attitude, girlfriend, and London noir setting to draw readers further into her world of vampires and private investigation. Another excellent quality of this book is the main character’s sense of humor. Kate is part hardboiled detective, part vampire hunter. She is no nonsense and has a smart mouth that more often than not gets her into trouble, which she has no problem handling. Her interactions with her ex, Patrick, often take on their own, snarky tone, but interactions with her current lover, an 800-year-old female prince of vampires, Julian, are always charged with sexual energy and blatant sexual conversation. “I waited ‘til all four heads were busy trying to barbecue Patrick, then I circled round and scrabbled onto its back. It was damn near vertical and swaying violently, but at least there were plenty of handholds. The instant I, um, mounted, another one of its heads whipped round and tried to bite me.” Passages like this illustrate Hall’s ability to write intense action scenes, even when those involved are paranormal creatures, not humans. Between the short chapters with creative names (“Trains and Tupperware,” for example) and the action Kate finds herself involved in, Hall doesn’t disappoint. Readers of paranormal and mystery stories will delight in this series. The lesbian angle will attract those looking for a little female romance with their vampires and creatures of the night. Kate is an appealing main character, and hopefully there are more books coming in this series.